– child organizational units automatically inherit settings from their parental units. Let’s start with adding new people to your account. To invite new members, go to Settings (1). 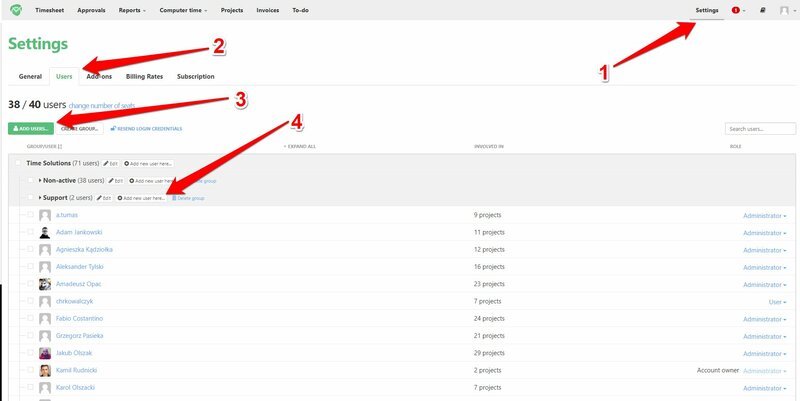 Next, navigate to “Users” bookmark (2). 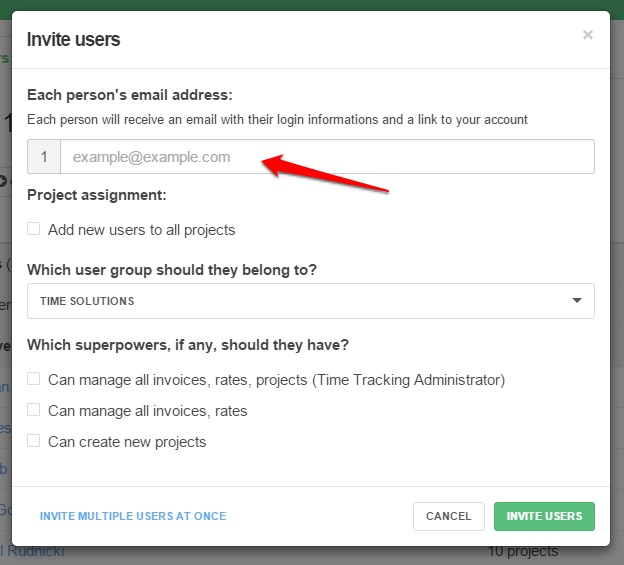 Click on the “Invite users” button (3) or “Add new user here” button near group’s name (4), if you’d wish to add a user to a specific subgroup. Enter user(s) email address(es). Optionally choose other settings or group you wish to add those users to. 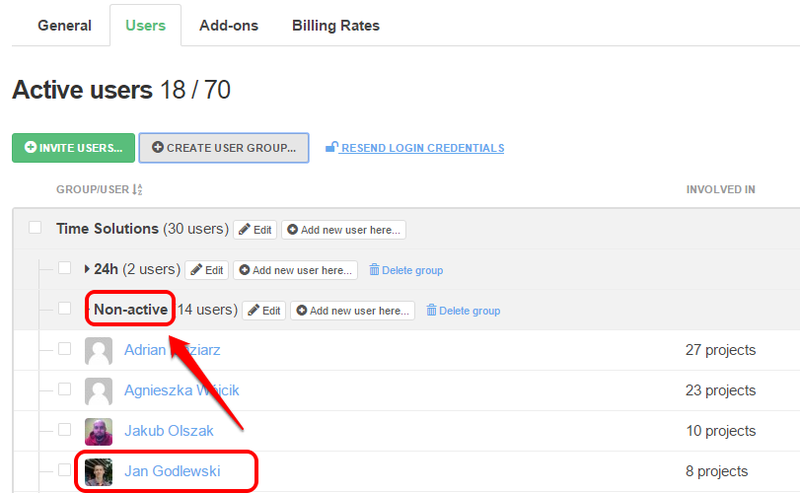 After clicking on the green “Invite users” button, they’ll receive their individual login credentials via email. Now, when you know how to add people, let’s move to creating a group. 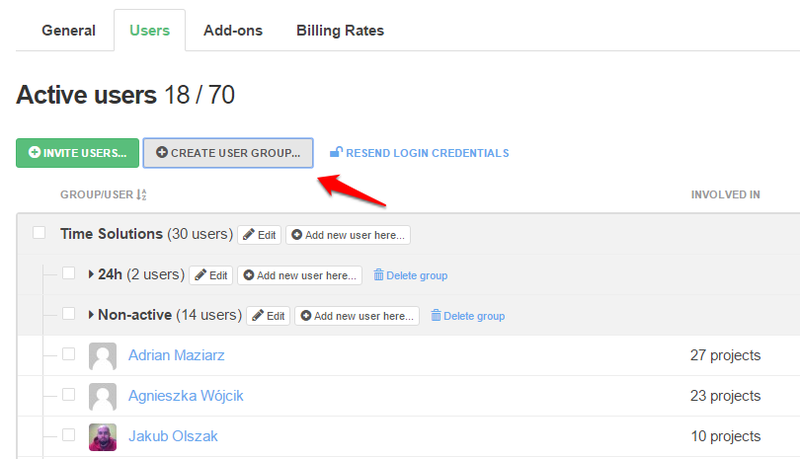 Simply click on the “Create user group” button above the table with active users and groups. Enter the name of the new group. That’s pretty much it. After creating another group you will be able to invite members to it by entering their email addresses as you did it in the previous step. By default, new groups inherit settings from parent groups. You can create as many groups down the structure tree as you wish, but keep in mind that there can only be one main group. To change settings for the main group simply go to Settings in right upper corner of the screen and enter the “General Settings” tab. To edit settings for one of the subgroups navigate to “Users & Groups” tab (1) and click on the “Settings” button near the name of the desired group (2). For the full description of available settings see this page. To move users between groups go to the “Users” tab (1). Simply drag & drop users between groups you wish to move them to. You can also move multiple users at once, by clicking on the checkboxes left from their names (1). After doing that navigate to the bottom of the table. 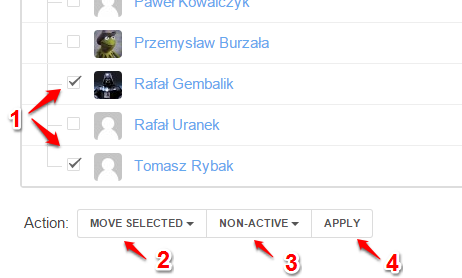 From “Action” menu select “Move selected” (2) and select group you wish to move them to (3). Finish by clicking on “Apply” button (4).